There are dozens of tools out there that help Exchange sysadmins run their systems, optimize them, troubleshoot them, and monitor them. Some are well known, while others are secrets known to only a select few. Most are out there for the world to use, but are not well popularized and so sit, underutilized and just waiting for someone to stumble across them. 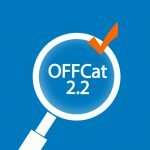 Once of these, the Office Configuration Analyzer Tool (OffCAT,) has just received a major update and version 2.2 is now available for download. Since it’s a very useful tool that, when I recommend it, most people seem to have never heard of it, I wanted to raise awareness of this new release and see if more of you can save time and effort by using the tool. So let’s take a closer look at this download from Microsoft to see what it can do. The Microsoft Office Configuration Analyzer Tool (OffCAT) is a tool that can analyze the install of Microsoft Office on a workstation, along with the workstation’s configuration, to determine the cause of performance or compatibility issues with Office. It can generate reports to include issues detected as well as resolutions, and can link to the relevant KB article discussing any issue(s) found. In addition to looking at common misconfigurations and missing updates in Office, it can evaluate the operating system and drivers. It supports all current versions of Windows from Vista on up, as well as Office versions from 2007 through 2016. Scan your calendar folder for known problems using the Calendar Checking Tool. Generate detailed information about your Office installation with the ROIScan tool. OffCAT can also run on a machine that has intermittent issues, so that it can perform logging and real-time crash detection to help determine what the problem is, even if you aren’t there with the user hoping to spot the problem before they click OK and tell you they got some error message again. In addition to testing for even more configuration issues, the newest version can be used to actually fix many of the problems found. Whether it’s a missing update, an incorrect setting in the registry, or a setting like hardware acceleration, OffCAT can be used to automatically fix errors it finds, rather than simply directing you to a KB that can tell you how to fix them. It’s accessible now in OffCAT under the Advanced Tools, along with the Calendar Checking Tool and KMS activation. OffCAT is a great tool for desktop support teams who must support Office apps, but it’s also a great tool for Exchange SysAdmins who may be called upon to troubleshoot issues with mail, that turn out not to be with Exchange. Rather than simply having to punt a ticket back to the desktop team, or spend hours trying to figure out a client-side issue, you can use OffCAT to quickly assess, and fix, client-side issues when they come to you. OffCAT is a free download from Microsoft. You can download the MSI from https://www.microsoft.com/en-us/download/details.aspx?id=36852 and simply install it on your system to start running it. It requires Microsoft .NET Framework 4.5. You owe it to yourself to download and install OffCAT on your own machine, and play around with it some to see all it can do. You might even find an issue or two with your own machine you didn’t even know you had. But more importantly, you will have another great tool ready to go the next time you have to troubleshoot a client system.